I’m gonna be really honest with you … some days, my day begins by hitting the snooze button followed closely by grabbing my cell phone off my nightstand — meaning, the first thing I typically see is the latest string of emails that have flooded in overnight. It’s a terrible habit and I don’t condone it. In fact, I’m actually quite ashamed to admit it publicly. I know better; I’d be lying if I told you otherwise. I can think of a hundred better ways to start the day than staring directly into the depths of my inbox first thing in the morning. But sadly, I’m caught up in a habit that’s very tough to break — that is, until recently. Now, instead of rolling over and gazing into the hypnotic light of my cell phone’s screen, I roll my tired self out of bed and flow through some gentle yoga movements in my PJs on my bedroom floor. I take as much time as I need to hang out in a few poses and wake up slowly — you know, without all the harsh blinding lights and noisy notifications. That’s not to say that I avoid the phone all morning, but at least I wait until I’ve had a cup of coffee first — as it should be! Seriously, this small change to the start of my day has made a world of difference. I can’t believe I lived this long being thoroughly annoyed before I even got one foot out of bed and onto the floor every morning. I really underestimated what waking up to my phone was doing to my mood for the rest of the day. Since this new habit has totally rocked my world, I thought I’d share a simple morning flow that’s accessible to everyone so you can try it, too. Check it out in the video below. Just be aware that I sped up the video to keep the demo short and sweet, so remember that this flow is completely customizable in terms of time. You can take 3 minutes or 20 minutes to move through it — whatever suits you and your mood. Heck, I’ve been known to stay in child’s pose for 5 minutes before moving on, so no judgment here. People ask me all the time what a home yoga practice looks like. Sometimes it looks exactly like this. You don’t have to be a yoga teacher or need to know all that much about yoga to start your own home yoga practice. All you really need is a little space, a few moves that feel good to your body and maybe a mat — although, I usually can get by first thing in the morning without one. 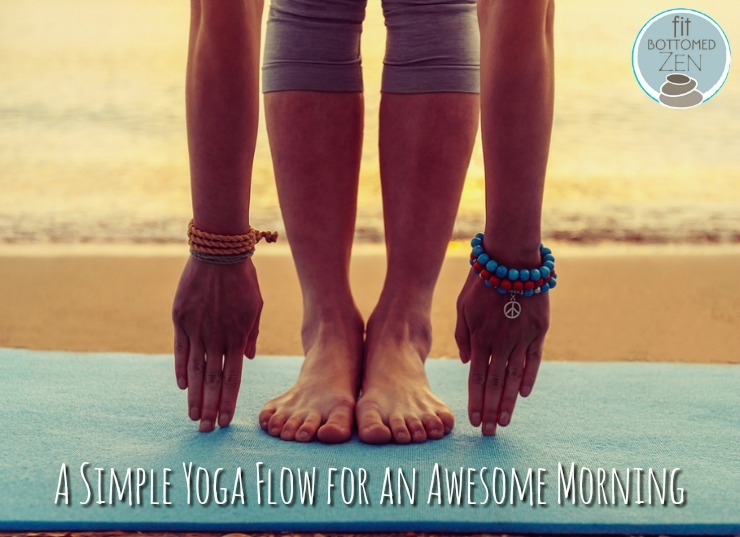 There are many benefits of morning yoga. I do it everyday and it takes me to a day of grace, authenticity, mindfulness. Thanks for sharing such amazing post!